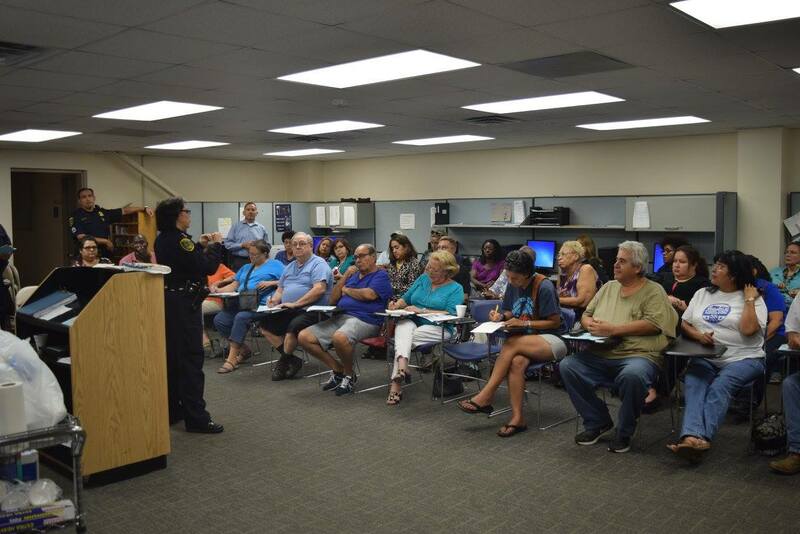 ACOP Martha Montalvo participated in the “Involved Citizens of Houston Community Forum" earlier this week. 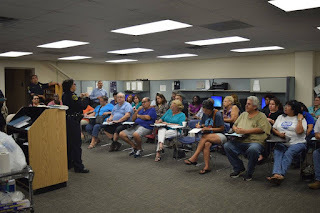 Held on the University of Houston campus, the event included topics such as Voter ID and Voter Registration, City Ordinances that are on the ballot and what they mean, and How to interact with Police: youth, young adults, men and women. The event was organized by Alpha Kappa Alpha Sorority, Incorporated – Alpha Kappa Omega Chapter and Psi Mu Omega, Black Student Union (BSU) University of Houston and the University of Houston Master of Public Administration Program (UH MPAP). The moderator for the event was ABC Channel 13’s Anchor, Melanie Lawson. 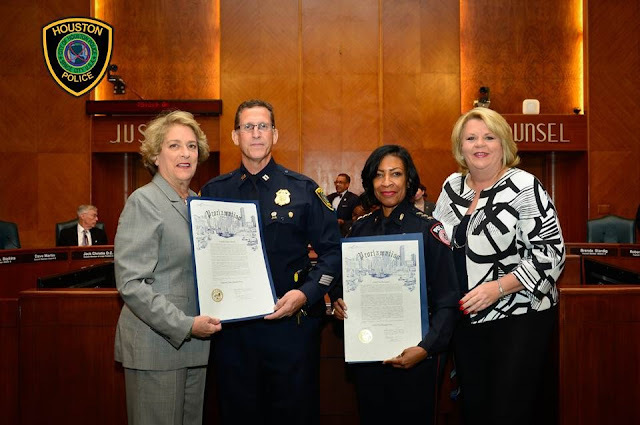 Captain Dan Harris of Houston Police Department’s Vice Division and Chief Vera Bumpers of the Metro Police Department received a Mayor’s Proclamations to honor their contribution toward providing public service during the September 27, 2016, City Council Meeting. 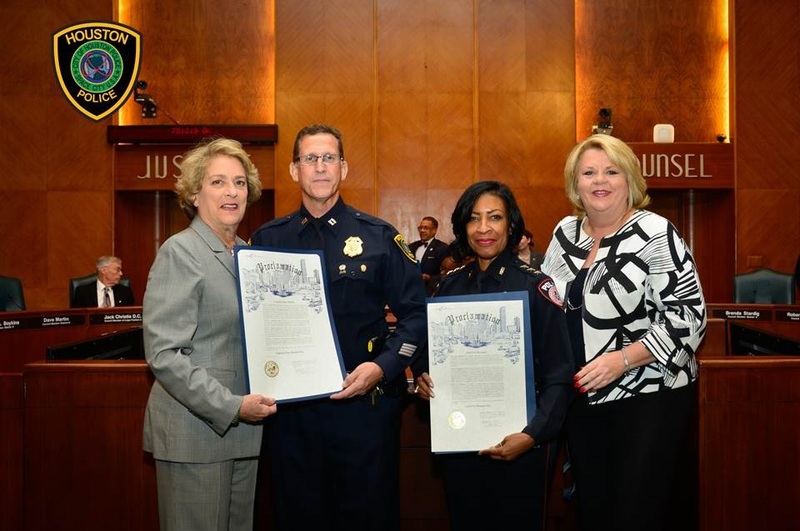 They are flanked by Councilwoman and Mayor Pro Temp Ellen Cohen and Councilwoman Brenda Stardig, the Chairwoman of Houston City Council’s Public Safety and Homeland Security Committee. 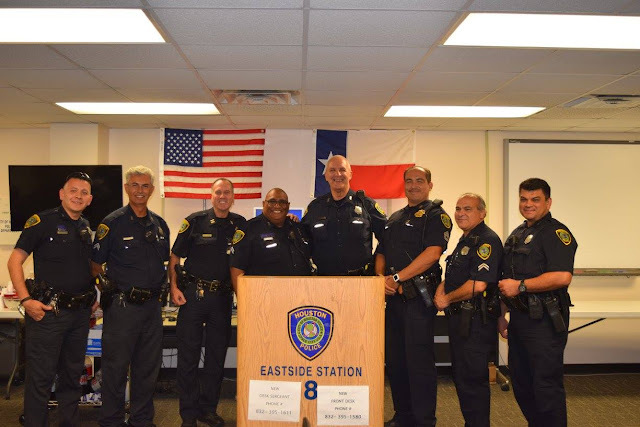 Captain Dan Harris has served with the Houston Police Department for 22 years and supervises the Vice Division, charged with conducting human trafficking investigations. 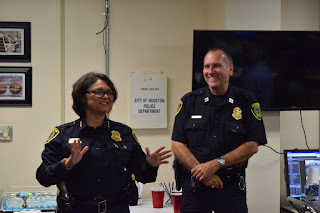 Chief Bumpers has served with Metro Police Department for 32 years, rising through the ranks to become that Department’s first Black female Chief of Police. Both stated that they could not have achieved any success except for the efforts of the fine men and women serving in each organization. 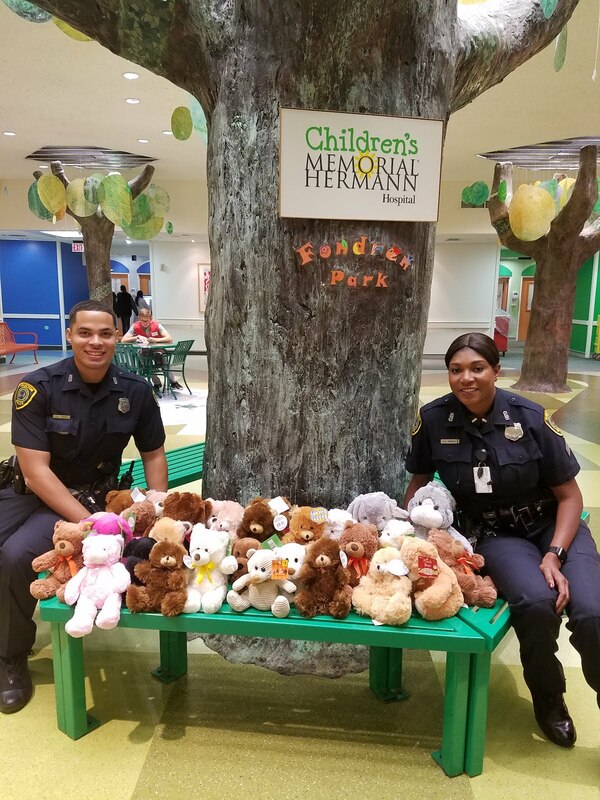 HPD visited patients at Children’s Memorial Hermann Hospital earlier this week spreading cheer and give away bears. The Badges and Bears program is in its 3rd year. 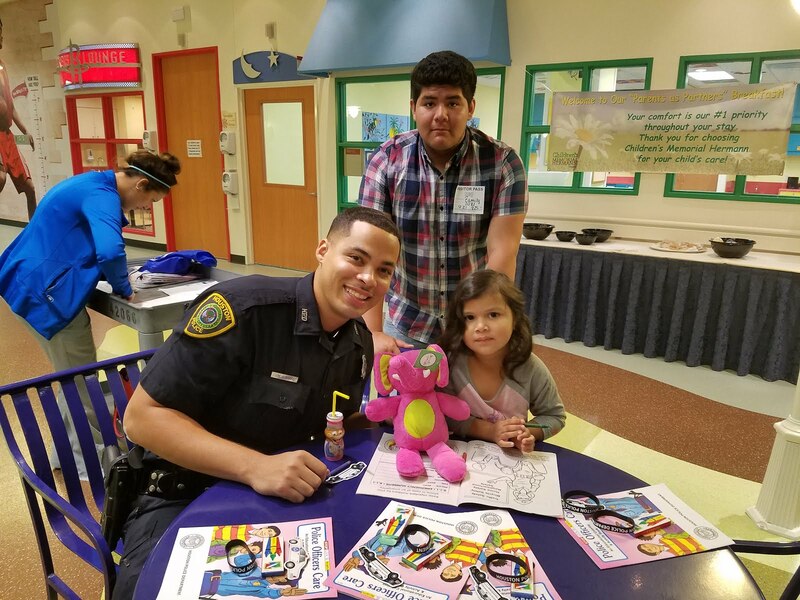 The officers also participated in different activities with the patients, such as board games and coloring books. For more pictures from this event, please go to the HPD Flickr account AT THIS LINK. Thank you to everyone who came out a couple of weeks ago and made this year's 9/11 Heroes Run such a big success. We had close to 3000 participants!! It’s week three of the Houston Police Department’s Citizens’ Police Academy. 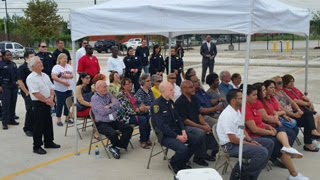 For ten weeks, 30 Houstonians will learn how HPD handles investigations, calls from citizens, and dangerous situations. Last week’s class involved a visit to the Houston Emergency Center (HEC) where participants met with call takers to learn how emergency calls come in, and are prioritized and dispatched. Tonight, members of Class 54 take their class on the road and have a chance to meet with HPD’s DWI officers to learn what happens once an officer first observes a suspected drunk driver. Participants will learn about the tools and training these specialized officers use to help keep our city’s streets and highways safe. 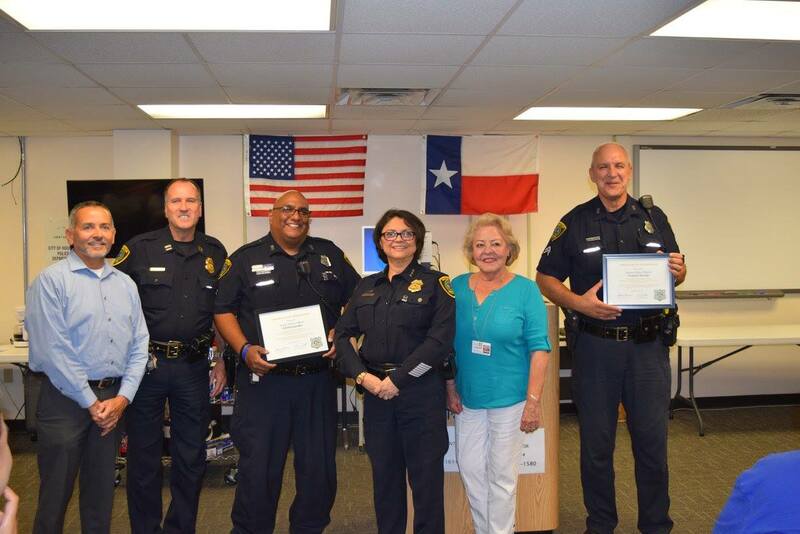 The Citizens’ Police Academy was started in 1989 with a goal of giving citizens from all walks of life a working knowledge of how HPD operates. It stresses the importance of citizens partnering with police to prevent and fight crime throughout the city. Earlier this week, the Eastside Positive Interaction Program (PIP) held its monthly meeting. 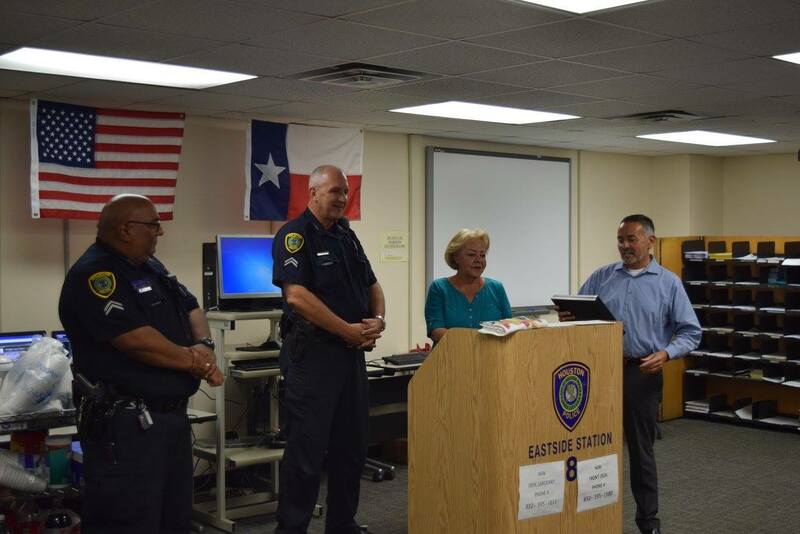 This month, Acting Chief of Police Martha Montalvo addressed the attendees and took questions. 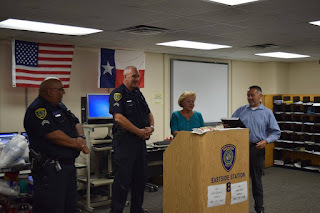 In addition, two long-serving officers from the Eastside Division were recognized for their years of service as they are about to retire from the department. Senior Police Officers Ed Hernandez and Francis Devita were given Certificates of Appreciation from the Eastside PIP President Ramiro Fonseca. 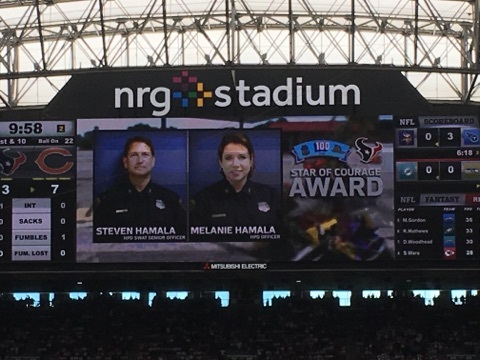 Thank you Officers Hernandez and Devita for your years of dedication to the citizens of Houston. For information about a PIP meeting in your area, please go to THIS LINK. This past Saturday, HPD together with the Houston Police Foundation and the Astros Foundation, hosted the Badges and Bases Run at Minute Maid Park in downtown Houston. The event, in its third year, included a Kids Fun Run, followed by Badges and Bases 5K and 10K races. 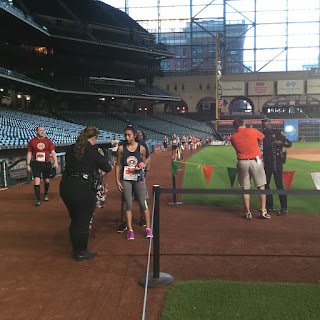 All races began in front of Union Station (along Crawford Street) and finished inside Minute Maid Park with members of HPD, the Astros Shooting Stars, and Orbit handing out medals. Funds raised in this event go toward the Astros Foundation and to the Houston Police Foundation. 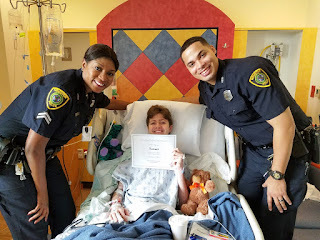 The Houston Police Foundation helps provide advanced training, specialized equipment and much needed technology to the Houston Police Department. Thank you to all who came out and made this event a huge success! 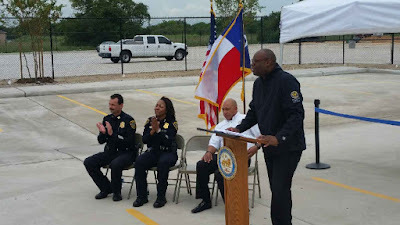 For more pictures from this event, please go to the HPD Flickr page at this link . 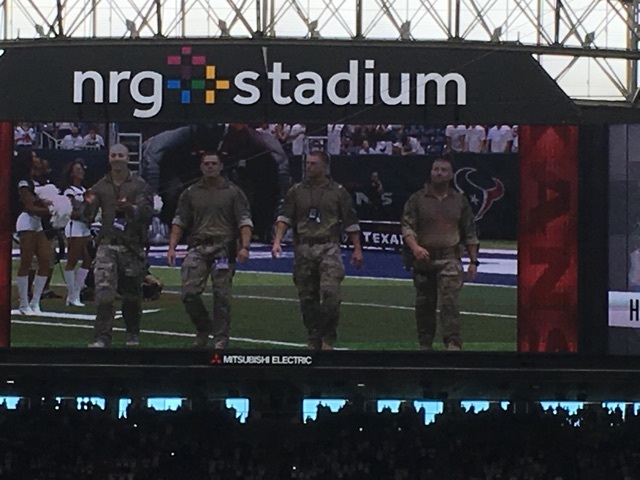 Thank you to the Houston Texans for honoring first responders at the Opening Day Game on September 4th. 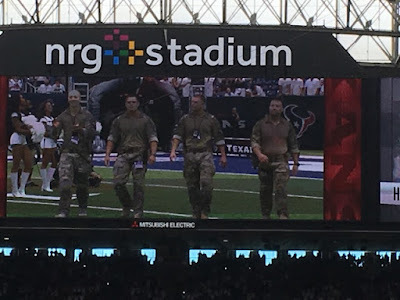 Members of HPD along with the Harris County Sheriff's Officer and the Houston Fire Department held the U.S. flag during the pregame ceremonies. Members of HPD SWAT came out of the tunnels as "the Home Field Advantage." 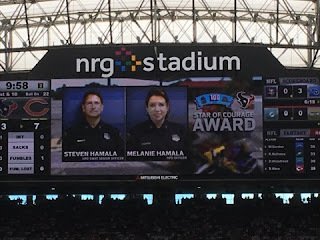 The Star of Courage Award was given to Senior Police Officers Steven Hamala and Melanie Hamala. We are inviting Houston area high school students to apply for the 2016-2017 Youth Police Advisory Council (YPAC). Students will address issues affecting youth and the community, participate in community service projects and attend youth leadership conferences throughout the state. Additionally, the YPAC meets regularly with Acting Chief of Police Martha I. Montalvo and other top HPD officials. YPAC members are required to meet five times during the school year at the HPD Edward A. Thomas Building at 1200 Travis in downtown Houston. Applications are available online HERE. The deadline to apply is Saturday, October 1, 2016. For more information, visit our website, email Rhonda Collins-Byrd or call 713-308-3200. On Monday, September 12, at Hermann Park Golf Course, Council Member D. Boykins (District D) and Seniors Assistances Funds Inc. held their third annual Swinging for Seniors Golf Tournament where proceeds will help with minor home repairs in District D for Senior Citizens before the repairs becomes major. HPD was proud to be a part of this event! 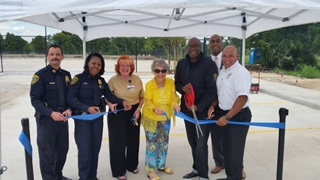 Last week, a ribbon cutting ceremony was held for the new parking lot at the South Gessner Patrol Station located at 8605 Westplace Dr.